For broadband connections, click the broadband link next to the song. A new window will open with a player for the file. For streaming audio, click the stream link. This will open your mp3 player. If you don't have an mp3 player, click here to download the FREE Winamp player. Thank you for visiting jdhopkins.com. 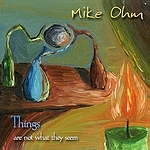 We hope you enjoy the audio samples and consider the benefits of ordering this fine music. The musicians represented on this Web site explore many different facets of music. All of us play and record jazz. Some of us also record World Music, Rock and Roll, and Classical. We all have a history playing blues, fusion, and even folk music. 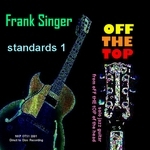 Available recordings are listed on the cd store page of the Web site. You will find a great diversity of musical styles, with something sure to resonate with your individual tastes. For CDs which don't contain audio samples on the J.D. Hopkins.com Web site, the CD Baby purchase link will take you to a CD Baby page for that CD which has audio samples for the first two minutes of each cut. Articles on the recording and performing history of J.D. and the Sons of Rhythm are on the home page, and photographs of the band recording and performing live can be found on the photo gallery pages. A limited supply of original artwork T Shirts is also available, with images and descriptions accessible from the t shirt store page. The designs are great, and the shirts fit well and are well-made. Please have a look around, and enjoy! If you have any questions or concerns, you may email the webmaster at webmaster@jdhopkins.com, or browse the contact page. Independent music has come into its own on the internet, and many artists who are not signed to major labels are getting their music out this way, including us. This music is creative, interesting, and different from the current material being produced by the recording industry today. We would also like to extend a personal and collective thank you to Jennifer Ruban and to everyone at Downbeat for supporting local and independent music!